Martyn Hilbert's Railway Photography - AC Electrics - 90129 at Old Oak Common. 90129 at Old Oak Common. In DB livery, 90129-'Frachtverbindungen' was at the Old Oak Common Open Day on the 19th March 1994. 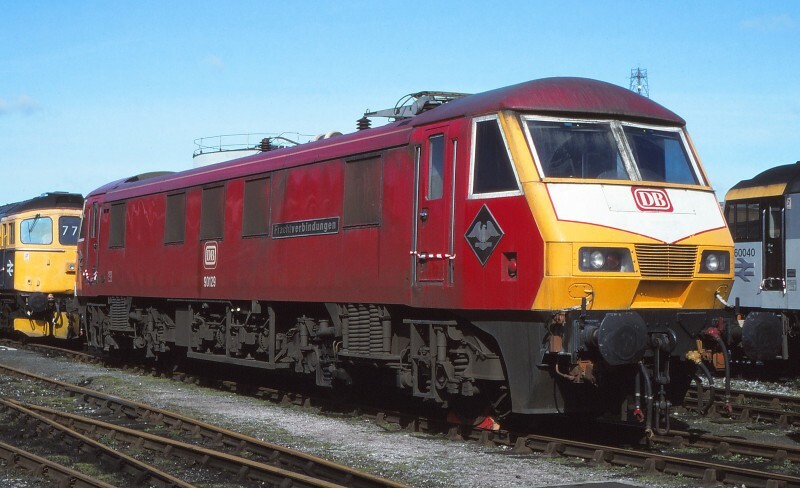 The loco had received the livery as part of the Freightconnection event in 1992.